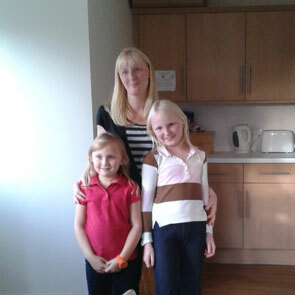 With all the current talk of energy bills and heating costs, a Big Lottery Fund-supported project is helping families in Market Harborough lower their costs. Sue Barsby from our England communications team went along to find out more. 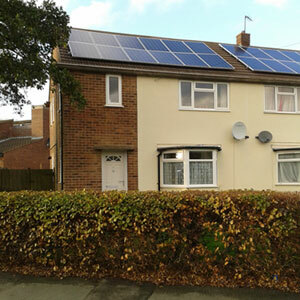 The semi detached eco-house sits in a quiet residential street in Market Harborough. Built in the 1950s, it’s been completely transformed inside to make it eco-friendly and to use much less energy. Many of the improvements made to the home are easy to replicate and Seven Locks housing company are looking to make a number of changes right across their housing stock. Not all improvements involve refurbishments. How many of us know how best to use our boilers or thermostats? Sustainable Harborough have been offering advice on how best to use their appliances to save money. Seven Locks’ staff have taken this idea up and are currently reviewing the information they give to clients when they move into a property, to see if this kind of advice can be extended. “We want to roll out solutions that are resident-focused, replicable and reliable,” said Deborah. Sustainable Harborough received £999,962 from the Big Lottery Fund’s Communities Living Sustainably programme to use Market Harborough as a ‘test bed’ for sustainable living. The project looks to improve the environmental sustainability and resilience to climate change of an entire town. The less Government interference with the Energy Market will incentive every one.